This beautiful table is made from solid maple, 1" thick. 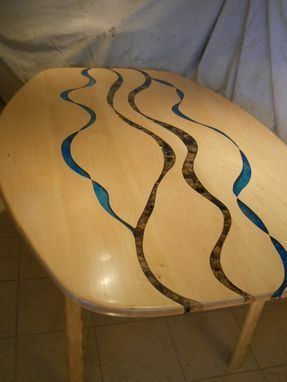 Its design is inspired by the natural movement of water. 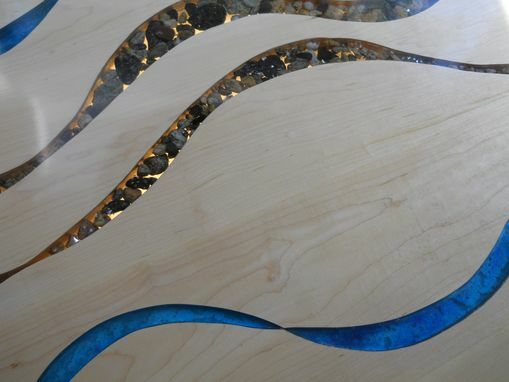 Its four streams are fully inlaid catalyzed resin, with natural river rocks and pigments. 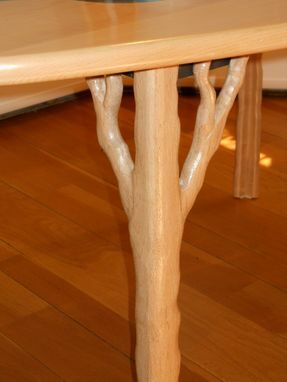 Its hand carved legs provide graceful strength, like the limbs of a tree.